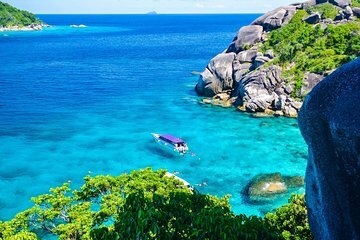 Explore the diverse marine life near the Similan Islands by going on a snorkeling day tour. Take the chance out of finding good snorkeling spots by having a guide to take you in a speedboat to places known for their colorful fish, coral, and amazing clear water, such as Koh Payu, and Ba Ngu Island. It’ll be a stress-free day from the onset, as round-trip transport, snorkel gear hire, breakfast, lunch, and soft drinks are provided.